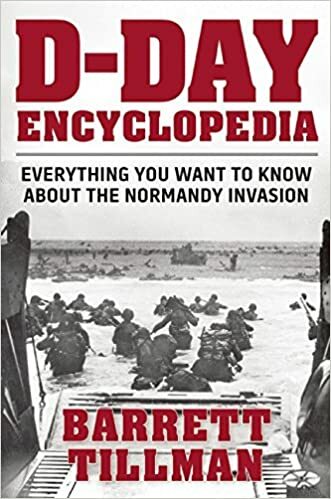 The following article on WW2 navies is an excerpt from Barrett Tillman’ D-Day Encyclopedia. It is available for order now from Amazon and Barnes & Noble. WW2 navies represented the combined seapower of all nations involved, whether Axis or Allied. A proper sense of the strength of WW2 navies can be ascertained if we look at one critical moment in World War Two: The Invasion of Normandy on June 6, 1944. The Allied navies involved in Neptune-Overlord represented eight nations: the United States, Great Britain, Canada, France, Greece, Holland, Norway, and Poland. The commander of the naval forces was Adm. Sir Bertram H. Ramsay, who deployed 1,213 ships (vessels more than two hundred feet long), including seven battleships, twenty-three cruisers, ninety-three destroyers, and seventy-one corvettes. British and Canadian warships constituted nearly 80 percent of the total. More than 4,100 ships and landing craft were committed to the five assault beaches across a forty-mile front. Of the fifty-four bombardment and gunfire support ships assigned to Neptune, nearly three-quarters were wartime construction. Twenty-two had been commissioned in 1943–44, excluding the modified American minesweepers. Aside from the critical mission of delivering Allied armies to France, the naval contribution was significant in providing gunfire support. Because limited artillery went ashore during the early days of Overlord, naval gunfire was an important aspect of the breakout from the beachhead. German generals had learned to respect the power and accuracy of Allied gunfire over the previous two years and deployed their mobile reserves well inland, beyond range of most Allied guns. Nevertheless, destroyers, cruisers, and battleships consistently neutralized or destroyed enemy strongpoints, permitting ground forces to advance inland. German defenses included large numbers of coastal artillery batteries, but beyond the shoreline mines were the primary naval weapon. Allied mine-sweepers cleared paths through enemy minefields, permitting landing craft to reach shore with sustainable, if frequently heavy, losses. Specially trained and equipped naval forces were vital to breaching the Atlantic Wall and providing logistics support. Naval combat demolition teams and other engineers landed ahead of the assault troops to blow a path through many of the landing obstacles. Meanwhile, naval construction battalions (Seabees) provided the means of moving large volumes of men and equipment ashore, most notably constructing and manning the Mulberry artificial harbors in the days after 6 June. This article on WW2 navies is from the book D-Day Encyclopedia, © 2014 by Barrett Tillman. Please use this data for any reference citations. To order this book, please visit its online sales page at Amazon or Barnes & Noble.